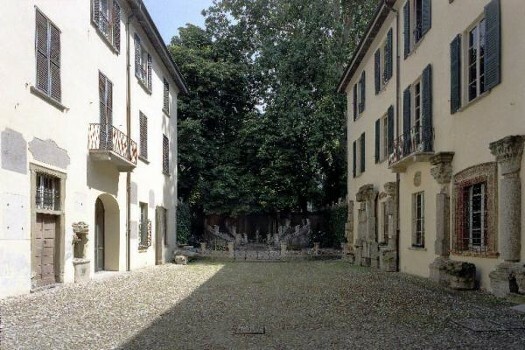 The building was the urban residence of the Giovio family who arrived in Como around the thirteenth century, and soon joined the ranks of the most prominent families of the city. 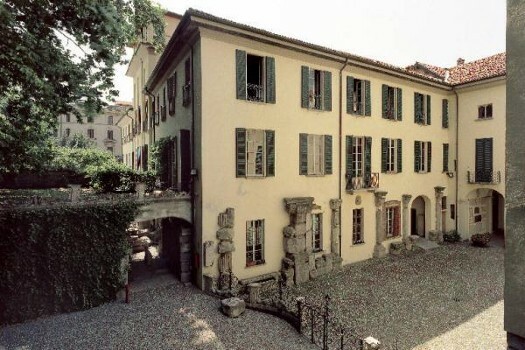 During the sixteenth century the building was enlarged by the brothers Paul and Benedict Giovio, among the most famous intellectuals of the time. 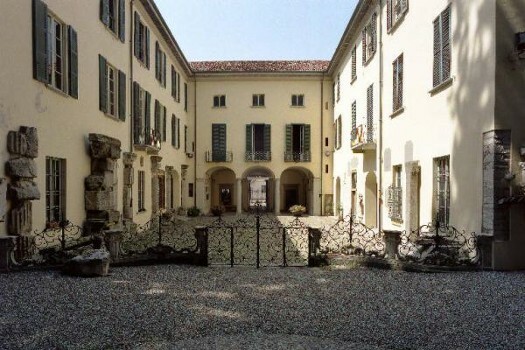 A new accommodation intervention was implemented by Count Giovanni Battista Giovio between 1770 and 1780, resulting in a new facade and completing the arrangement of the garden. Interior updates were also made on that occasion: Ignazio Brambilla painted some rooms in the south wing with fantasies of ruins, Giuseppe Coduri said Vignoli frescoed salon music and Giovanni Battista Rodriguez undertook frescoes inspired by mythological subjects. 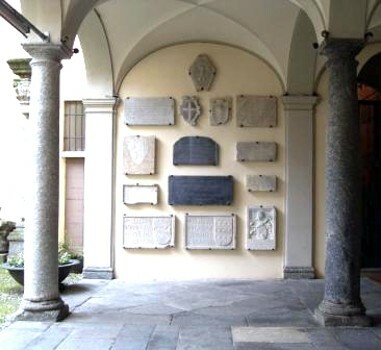 Giovio also bought the adjacent building, formerly an orphanage, and adapted the church in the family chapel. 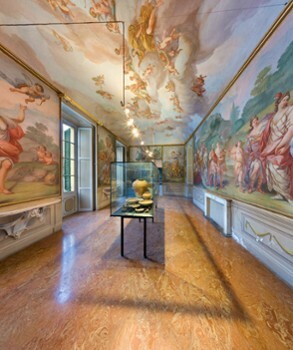 In 1794 the Earl commissioned architect Simone Cantoni for a modernization of the building in which were performed the cycle of Parnassus, by Giovanni Battista Rodriguez, and decoration dedicated to the Olympian gods with statues by sculptor Stefano Psalter. 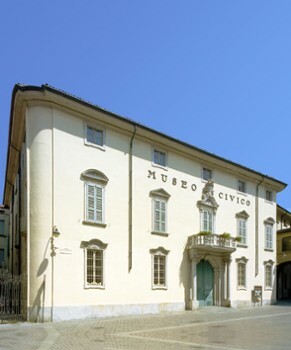 During the nineteenth century the building remained substantially unchanged and only in 1894 were made some adjustments when the building was named as the seat of the Civic Museum, which opened in 1897. 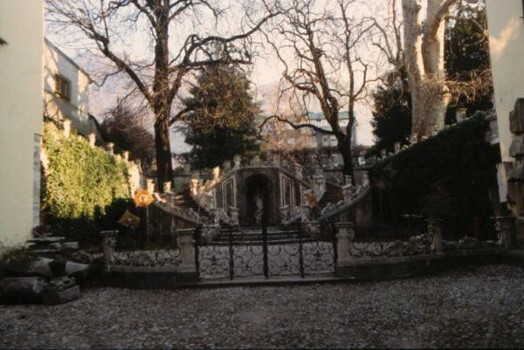 In 1913 it was bought by the municipality and finally in 1969 it was restored under the direction of Gianfranco Caniggia. 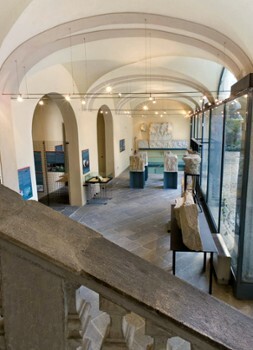 Nearby Things to Do include: Castles & Ruins such as Como Gate Tower and Broletto; Museums such as Civico Museo Archeologico Paolo Giovio and History Museum G. Garibaldi; Monuments such as Statue of Alessandro Volta and Life Electric; Villas such as Villa Gallia and Villa Saporiti; Towns such as Brunate and Blevio; Churches such as Basilica di San Fedele and Santa Cecilia.